The Meijer State Games knows how important every member of team is when it comes to creating a successful event for thousands of athletes and spectators. 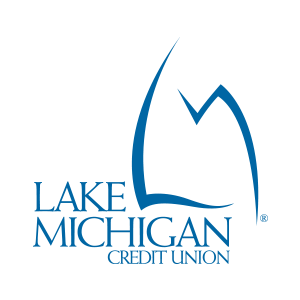 Lake Michigan Credit Union is not only a sponsor but a member of this team. Every year, LMCU employees volunteer for the Meijer State Games. The 2018 Summer Meijer State Games will be the third year LMCU volunteers have come out to help. From checking in athletes to guiding visitors, LMCU volunteers are in all parts of the Meijer Games main weekend. "Being able to reassure people. give them information about what they need...something about being that friendly face that helps make the connection," says Mary Beth Braun, a LMCU volunteer. Mary Beth first started volunteering with the Meijer State Games last summer during the State Games of America. For the State Games of America, the opening ceremony was at Van Andel arena. Mary Beth remembers watching the athletes as a volunteer. "[The athletes] see this huge arena. Then their eyes would light up like 'wow, I'm a part of this'". This experience as a volunteer and others during her time at the State Games are what is bringing Mary Beth back to volunteer a second year. "I would recommend volunteering," Mary Beth says, "I think to some degree, it's important that we celebrate what we love about our city and this area. Its really fun to get to know some other people and make the experience as positive as it could be." Every year when the Meijer State Games begin there is a sort of excitement that everyone feels. The athletes love to compete their talent, spectators love to watch their favorite sports, and volunteers love to see everything play out just right. If you want to be apart of the volunteer experience, you can sign up here. This year, the Meijer State Games main event weekend will be June 22-24. Opening Ceremony will be held at East Kentwood High School on June 22.